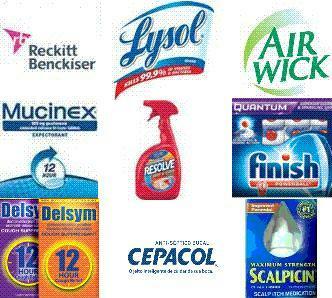 Reckitt Benckiser plc’s placement of multitudes of advertisements for each of the following products makes them to top advertiser on Al Jazerra America aka Current TV: Airwick, Cepacol, Delsym, Finish, Lysol, Mucinex, Resolve and Scalpicin. The action email for this issue was deactivated after Reckitt Benckiser stopped advertising. Reckitt Benckiser adds Woolite and Rid-x to the list of products advertised on Al Jazeera America after receiving thousands of emails expressing concern about the new USA channel. Florida Family Association sent out an email alert on February 13, 2013 to report: Reckitt Benckiser plc’s placement of multitudes of advertisements for each of the following products makes them the top advertiser on Al Jazerra US aka Current TV: Airwick, Cepacol, Delsym, Finish, Lysol, Mucinex, Resolve and Scalpicin. Thousands of people concerned about Al Jazeera America’s new influence via United States television sent emails to several Reckitt Benckiser officials in response to the February 13, 2013 email alert. Reckitt Benckiser responded by adding more products, specifically Woolite and Rid-x to the list being advertised on Al Jazeera America. Perhaps this is Reckitt Benckiser’s European way of backing handing Americans or maybe their response is intended to patronize the many Islamists living in their country (UK.) Then again it could be both. Florida Family Association’s monitoring of Al Jazeera America (Current TV) over the past five weeks has determined that Reckitt Benckiser is the top advertiser on the channel. Al Jazeera, the Arabic news television channel headquartered in the Middle East (Doha, Qatar), purchased the Current TV channel which has the potential of reaching millions of viewers in the United States. Al Jazeera is the mouthpiece for the Muslim Brotherhood and Arab Spring. The Muslim Brotherhood is the single largest promoter of the radical Islamist movement in the world. Click here to read more at Floridafamily.org. Al Jazeera’s online announcement titled “AL JAZEERA TO START NEW U.S.-BASED NEWS CHANNEL” is posted here. The Al Jazeera news announcement is also displayed below. Florida Family Association sent out an email alert on January 21, 2013 that reported the organization was monitoring Al Jazeera America and contacting advertisers. An email was and is being sent to the CEO and Marketing VP of each advertiser to encourage them to stop their advertising support for Al Jazeera US. Florida Family Association informed advertisers that the names of companies and their products that continue to advertise on this network after February 1, 2013 will be posted to an article at Floridafamily.org and other supporting web sites that are concerned about Al Jazeera's access to American television. Now is the time to voice concern over the new ownership of this channel. Not after the new program content starts airing and companies fear reprisal. Florida Family Association has prepared an email for you to send to Reckitt Benckiser plc officials. The email for this issue has been deactivated.